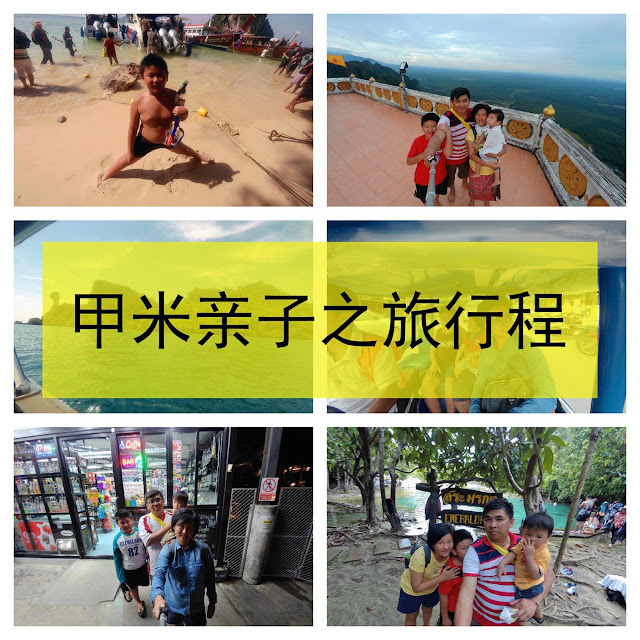 【Watsons Malaysia】Switch.Save.Win contest, Philippines holiday package to be won! 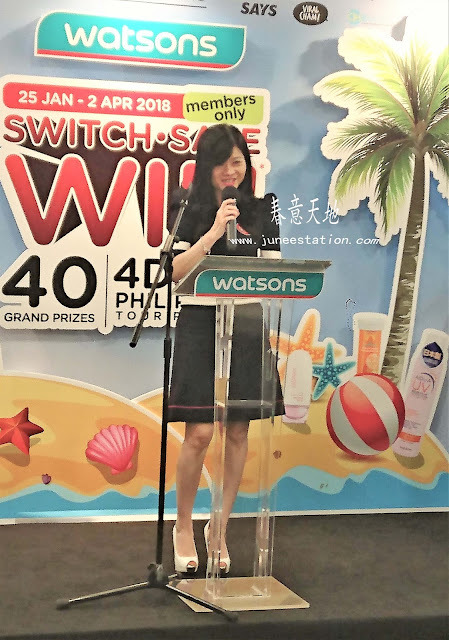 Forty lucky Watsons VIP customers will now stand a chance to win a pair of 4 days/3 nights holiday package to the Philippines in the Watsons Switch.Save.Win contest in-collaboration with the Philippine Department of Tourism. The contest which is only open to Watsons VIP members, starts from 25 January to 2 April 2018. To enter the contest, you would have to be a registered Watsons VIP member, then simply spend RM30 on Watsons brand products (in a single receipt) to be eligible for one entry or spend RM30 in at least one (1) of the participating brands (Arome by Watsons, Collagen by Watsons, Hair System by Watsons, Naturals by Watsons, Water360 by Watsons) and a Watsons brand product (in a single receipt) to be eligible for two entries. Purchases can be made in any Watsons store or via the Watsons online store (watsons.com.my). 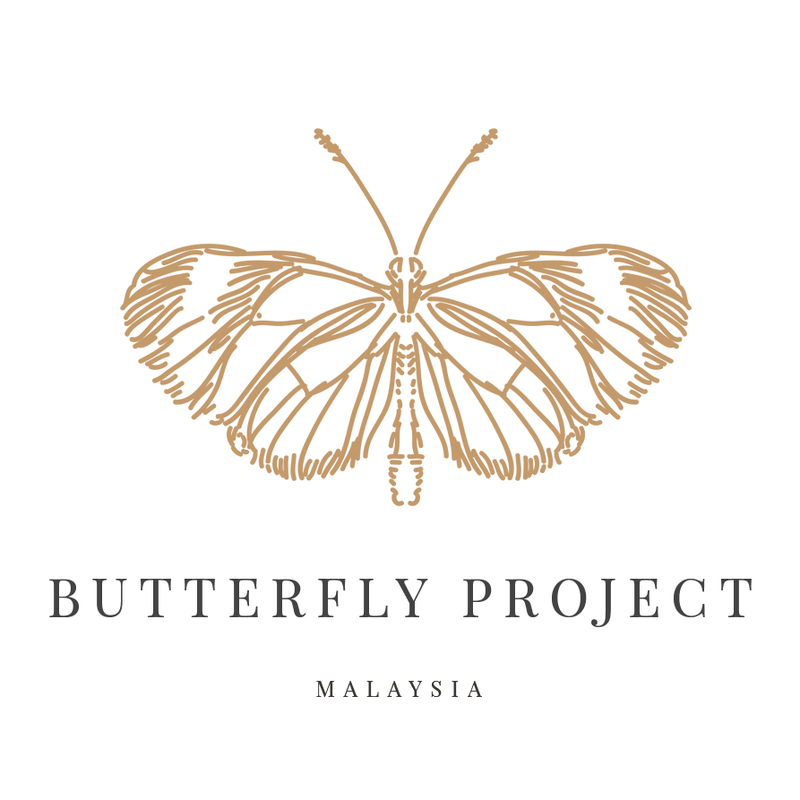 The travel date for contest winners will be in between 28 June – 2 July 2018. 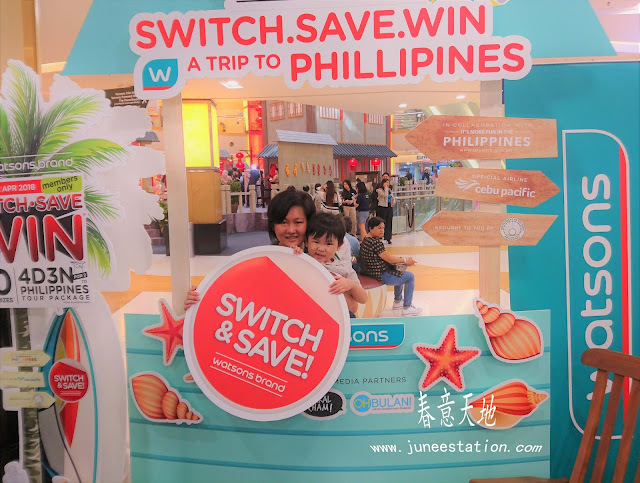 The “Watsons and the Philippine Department of Tourism Switch.Save.Win Contest” is part of the Switch and Save with Watsons Brand campaign launched in 2016, where it encourages Watsons VIP members and Watsons customers to switch to great quality with better savings with Watsons Brand products. An extensive research and development programme and stringent quality process goes into each Watsons Brand item to create products that are safe and effective in meeting Watsons customers’ needs. Frompersonal care items, beauty essentials, and healthcare – Asia’s leading health and beauty retailer provides our customers the choice to save as much without compromising on quality”, said Caryn Loh 罗宝霞, General Manager and Country Head of Watsons Malaysia. “Considering the leading health & beauty retailer in Malaysia, our partnership with the “Watsons and the Philippine Department of Tourism Switch.Save.Win Contest” to win a trip to the Philippines will no doubt create interest in the Philippines as an ideal tourism destination among Malaysian travellers”, said His Excellency, Charles C. Jose, Ambassador, Embassy of the Republic of the Philippines to Malaysia. Forty lucky winners and their traveling partner will be flown to the Philippines by Cebu Pacific, the official airline for the contest, where they will explore the islands of Bohol, Cebu and Oslob in 4 days. In Bohol, the wondrous nature lets you immerse yourself with the island’s interesting sights to visit including the Chocolate Hills, diving spots, rivers and coming face-to-face with Bohol’s mascot, the Tarsier (the tiny, giant-eyed primate). are the digital media partners for the contest. Heralded as one of the top tourist destinations in the Philippines, Cebu is truly a blissful Filipino hub full of attractions and thrills. From historic landmarks to state-of-the-art modern wonders, Cebu has a dazzling and endless array of pleasant things to offer to a foodie, history buff or a fitness junkie. Some places to visit includes the unique terraced flower garden or go on a hike to Mount Babag and enjoy the lovely panoramas from Sirao Peak. While in Oslob, a famous coastal town, you can swim with the whale sharks or watch them swim gracefully in the seas or dive in the clear blue waters on nearby islands not to mention relaxing on the dazzling white-sandy beaches. The event was officiated by His Excellency, Charles C. Jose, Ambassador, Embassy of the Republic of the Philippines to Malaysia, Dato’ Melissa Ong, Marketing Director of Philippine Department of Tourism, Caryn Loh, General Manager and Country Head of Watsons Malaysia, Danny Hoh 何书光, Customer Director, Watsons Malaysia, together with the support of Watsons Celebrity Friends, and attended by members of the media and the blogger community. You may also stay with touch with the official social media partners, OHBULAN!, SAYS and Viral Cham for more stories & contest updates. oh you were there! did you join the contest as well? Good luck! Want to join the contest. Not difficult. Just need some luck. All the best to everyone! The contest prize is attractive. Good luck to those who join. This announcement comes on the right time - I need a vacation soon and I am a Watsons member too! Oh! That is so interesting to win a pair of 4 days/3 nights holiday package to the Philippines in the Watsons Switch.Save.Win. Good luck to all the participants. Wow this is cool, and i hope you win so you can visit the Philippines! Excited for you June! Ooooo.. got contest to win! I wanna join too! Awesome contest! 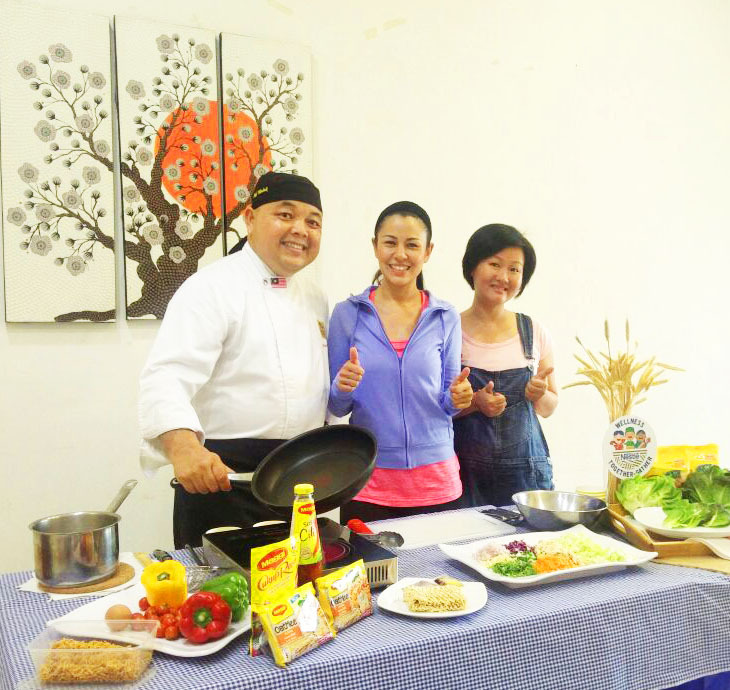 I wish to win a trip with amber chia please. Time to visit the philippines! hi, anyone receive sms that being selected to the finale contest at paradigm mall on this sunday ?